The Problem: Lack of waterproofing material and lack of proper drainage system in retaining wall. 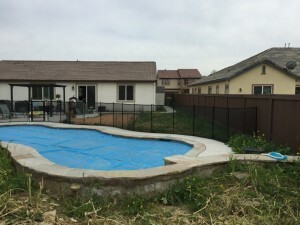 This client had their pool, coping, surrounding walls and concrete installed during the previous year. Because concrete is quite porous, it can wick water from the soil side and cause issues both structurally and cosmetically. As seen in the photo, this pool has no visible form of waterproofing material. Generally, a tar-based paint like substance such as ‘Blackjack’, or a sheet membrane would be used for this purpose. Lack of waterproofing can result in visible bleeding of mineral deposits leaching through to the front of the walls and leaving unsightly white chalky residue behind. This can cause the stone veneer to actually loosen from the cinder block behind it. 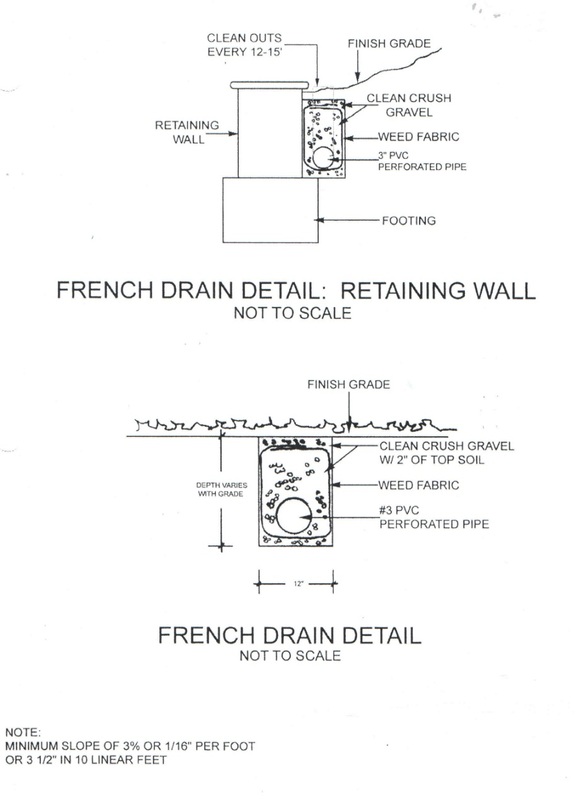 Diagram for a typical French Drain system, to provide adequate drainage for a retaining wall. For any retaining walls (walls that hold something back), it is imperative to have an adequate drainage system installed in conjunction with construction or before the area is backfilled. 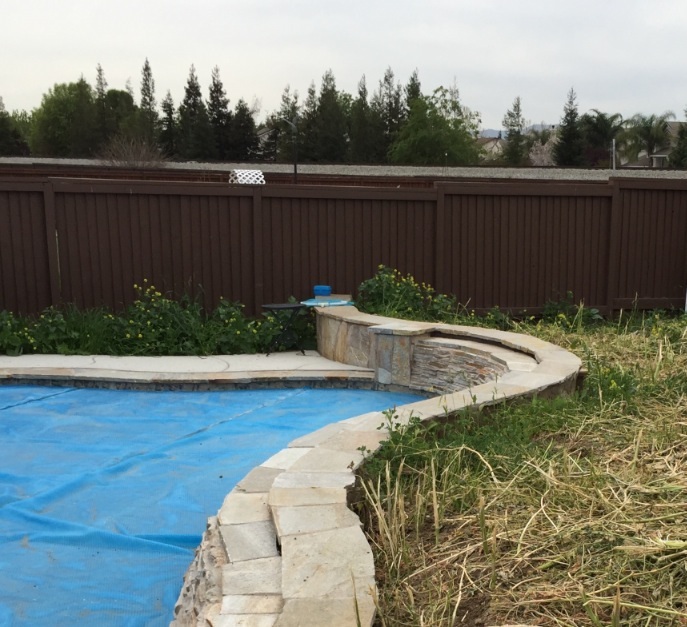 The most typical type of drainage for this application is a French Drain. See diagram included below. 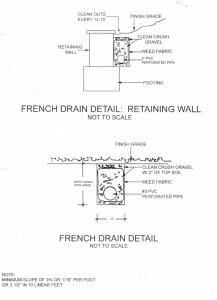 This perforated pipe would run along the base of the backside of the retaining wall, and would have clean outs at approximately 20′-30’ intervals that T up to the surface. These clean outs are used to rout out the pipe if any clogs occur over time. Lack of proper drainage can cause the wall to lean forward and perhaps collapse or crack.